We often get asked “why do we need fire equipment” or “why do we need to service the fire equipment?”. Our answer is three-fold. If there is a fire in your business are you prepared? What would happen if you had a fire? How would you feel if you could not extinguish a small fire that developed into a larger fire that destroyed your business? How would you feel if someone was hurt or killed from a fire because you had no way of extinguishing it? Secondly, we take out insurance on our building and our businesses. Have you ever read the requirements of that insurance? What would happen with your insurance claim if you had a fire but had no fire equipment to extinguisher it? Ask your insurance provider or read this interview with our insurance provider Alan Wilson Insurance Brokers. 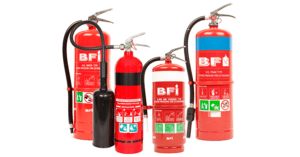 The Development Act and associated regulations require that you install and maintain a defined scope of essential safety provisions (including fire equipment). The Work Health and Safety Act and associated regulations require that you provide a safe workplace for staff, customers and visitors. This includes having the ability to respond to an emergency. To effectively respond to a fire, specific equipment must be installed and maintained. But we haven’t had a fire? The other question we get asked is “but we have never had a fire?”. Did you know that the South Australian Metropolitan Fire Service responded to 1,277 structural fires in the 2015/16 financial year. During that time there were 2,937 other fires including vehicles and bushfires. This does not include the number of small fires that were extinguished on site with no call made to the South Australian Metropolitan Fire Service. That’s a lot of fires. It is therefore likely that during your working life you will experience at least one fire! You are more likely to experience a fire at work than die from a work place incident yet most of us have life insurance – why don’t we have sufficient fire equipment?